Thought it was just me, but I have learned lately that many of us are wandering through the desert, sojourners in a quest to find our purpose, our mission, and the embrace of God. Be it financial, relational, physical, or spiritual–God finds a way to bring us to our knees. While we may proudly proclaim to the world, that we have suffered enough–that lack of humility is another invitation to learn the reasons for our suffering, to grow closer to Christ. One thing, I do know is that interceding on behalf of others who are also suffering is pleasing to our Lord, who loves true empathetic, spontaneous and soulful prayers exploding like fireworks before him. And He does–He will provide all that we need, perhaps not all that we want–but even with everything, without Him–it is all nothing. 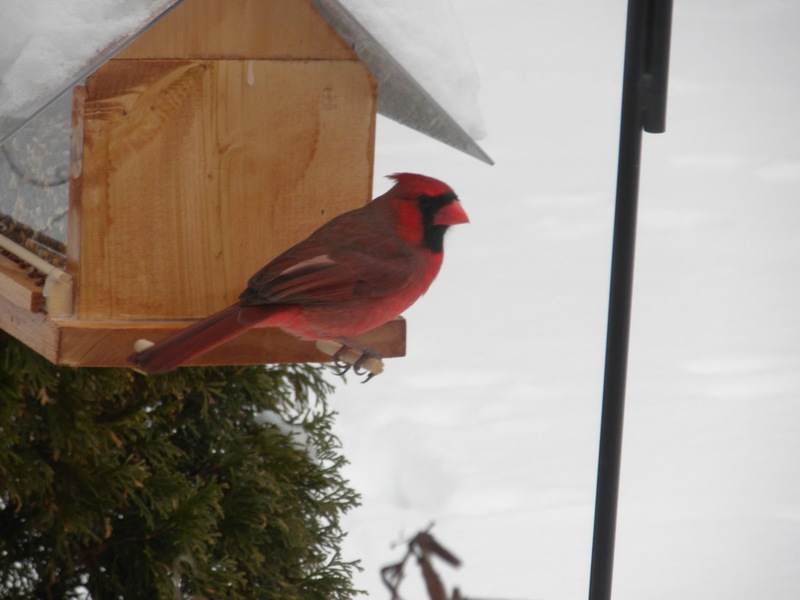 Watching the cardinal brushing the snow from the feeder to fill his belly, reminds me that He who sees that even the birds are fed, will not forget us.